This post originally ran October 27, 2014. We’re long past the days when Artie, b-list character in Judy Blume’s Forever, had a plot involving attempted suicide after trying to fit in and be straight by dating main character Katherine’s best friend. Today you’ll find books that are written for, by, and about young lgbtq characters. And there are so many currently available to get lost in, and to laugh, cry, and learn from. It’s an embarrassment of riches, and I’m only scratching the surface. Also, I mostly love the ‘first time’ stories, so those dominate my list, which is in no way all-encompassing. I decided to focus on authors primarily, and then their books, with links to author websites for more detail. For the grown ups version of this list, with a huge assist from Jacob and Diane Anderson-Minshall, click here. FYI – that noise you hear is my TBR list groaning. 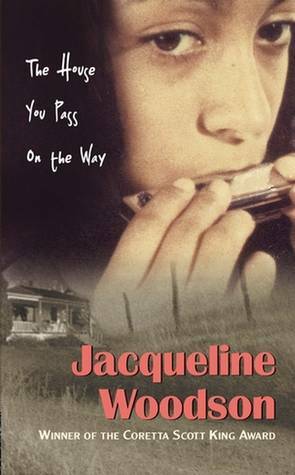 One of the most important, most read (and hated), classic books in the lesbian ya genre. Nancy Garden’s book celebrates teenage love, and it endures through book burning, book banning, and all sort of negative press. It’s the one many lesbians remember as the first story featuring kindred characters; a girl falling in love with a girl and navigating the strange new world, all while still in high school. Jacqueline Woodson is one of my favorite ya authors because she makes a conscious decision to just write life as it is. If that happens to include uncomfortable situations like children dealing with mixed-racial heritage, being abused, having a baby while still in high school, bullying, or falling in love with someone who shares your gender – so what, that’s life. The House You Pass On the Way features Staggerlee, a self-named sort of recluse who begins rethinking her sexuality after a visit from her cool cousin. Woodson has said of her own book that she wishes she’d been able to read something like this while a young tomboy struggling to fit in – I wish it upon every ya in the same situation. Gay mystery novelist Greg Herren won the Moonbeam Award twice in three years for his “contributions to YA lit”, and, like Nancy Garden, is no stranger to book banning. His two series for adults, Chanse MacLeod mysteries and the Scotty Bradley adventures, both feature gay private eyes living in New Orleans. Herren branched into YA and found he loved it, writing Sleeping Angel, about the murder of a gay high school student, touching on issues of bullying and suicide in young adults. 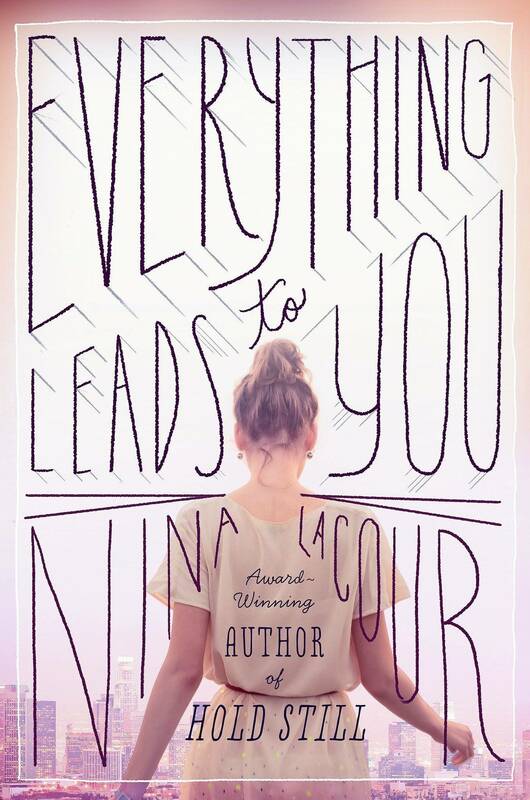 I had the pleasure of attending Mills College with Nina LaCour, and can attest to the excellence of the author, and her YA novels. Emi, left alone for a Southern California summer to do something “epic” with her older brother’s apartment, takes the directive to heart and embarks on a quest with best friend Charlotte to unearth the mysteries of a Hollywood director’s family affairs. And explore life and how it is what you make of it: falling in love, putting affairs in order, and living up to expectations. It’s a sweet romp where lessons are learned, characters grow up, and try to live happily ever after. Fourteen year old Rafael Fannen is a black kid struggling to adjust to a mostly white all-male Catholic high school on a minority scholarship, trying to connect with his ex-con dad on weekends and his mentally ill mom every day, all while drilling the “no homo” mantra into his own head for his own protest-too-much reasons. And then it all comes crashing down when his mother starts to come unglued, Rafe is accused of being the bad guy at school, and the rumors start to spread about him being gay. It’s every young, closeted/confused gay, black boy’s worst nightmares, all at once. Holland, the quintessential high school popular girl, is thrown for a loop when she discovers that “the man of her dreams” is also a girl. Holland already has a serious boyfriend when Cece transfers into the high school and sends everything Holland thinks about her life – boyfriend, family, college – into a tailspin. There are negative reactions at school, worse at home, and Holland has to stand up for what she believes, and who she loves, and become a stronger person from it all. Amrith is just a regular fourteen year old growing up in Sri Lanka, circa 1980. He’s well adjusted and happy, despite losing his mother too soon, and being raised by his aunt and uncle, and his greatest hope is to be cast in the school production of Othello. That all changes when monsoon season hits, his Canadian cousin arrives, and Amrith falls in love. 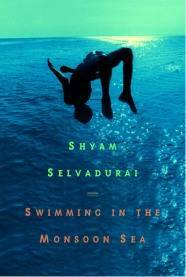 Sri Lanka and Othello star as supporting characters as the drama unfolds in the rainy season. Block is another ya writer who writes about the world without hesitation or fear of going too far. Weetzie blew my mind when I read it, featuring eccentric, only-in-Los-Angeles characters who cruise the streets, dealing almost exclusively in cool kitsch and funky adventures. Best friends Weetzie and Dirk, and his boyfriend Duck, sleep together to make a baby that they can all love and raise and cherish, the way they’ve always wanted to be loved and cherished. Baby Be-Bop is the prequel to the wonderful Weetzie Bat, another in the threatened with book burning list, this time due to the subject matter of Dirk’s coming out/coming of age story. Read one, and you’ll want the other, and then rush to read all the Block you can get your grubby hands on. Every Day is, to me, the purest of the ya lgbtq novels, one that really asks you to consider what it’s like living in someone else’s shoes. The main character is neither girl nor boy, queer or straight, just a being who inhabits a different body every single day, and one of those times, is bound to fall in love. Of course, Levithan’s Boy Meets Boy and Two Boys Kissing, based on the true story of Harry and Craig, two 17-year-olds who are about to take part in a 32-hour marathon of kissing to set a new Guinness World Record, are both stellar as well. Bottom line – you can’t really go wrong with a Levithan. 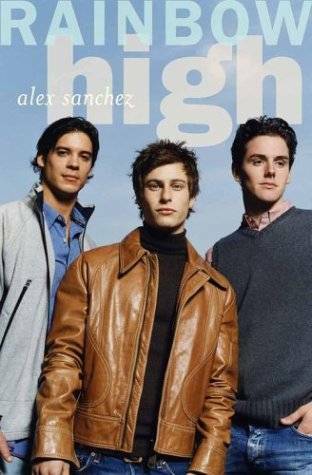 Three boys, high school aged, all living very different lives except for one aspect; they’re all in various stages of coming out. The Rainbow books are all about sexual identity confusion, the real life of gay teens, first love, and accepting who you – and your friends – are. Alex Sanchez is Lambda awarded and prolific, and writing about boys, falling in love, and life as he knows it. Start with Rainbow Boys as the group comes out, and finish up with the trio in post high school, in Rainbow Road. Another in the banned & burned books list, Frank Mosca’s All American Boys was donated, along with Annie on my Mind, to high schools in Kansas City, Kansas; and after significant parental objection to the book’s gay themes, both books were burned. Published in 1983, it, like Annie on My Mind, is a classic coming out story featuring two young boys in love, and the struggles they go through as their families and friends try to come to terms with their lives. This is recommended by Jacqueline Woodson as one of her favorite books, which is high praise to me. A flashback book to 1974, when Ann Ahern is a senior in high school and Boston is in a state of turmoil. Desegregation has white Bostonians protesting black kids in public schools, teenagers rioting on the streets, and Ann, from an Irish-American family of five kids, is discovering her own sexuality via a crush on her French teacher, who is of African descent. It’s a lot going on. And when Mademoiselle Eugenie’s car is set on fire and she disappears from Ann’s life – that’s when Ann takes off and the real adventure begins. Each summer, Ariel Schrag penned comic books documenting the school year before, chronicling the trials and tribulations of high school in Berkeley, California. Now autobiographical graphic novels, The High School Chronicles of Ariel Schrag starts off with Potential, which introduces us to Ariel and her first real relationship and first time falling in love with a girl (while trying to lose her virginity to a boy); Awkward tells of Ariel’s freshman year, Definition, her sophomore year, and Likewise wraps it all up with that mythic of times, the senior year. Her friends were not always impressed to see themselves on the page and in the public eye, and that’s part of the struggle Ariel delves into through her novels. Beam’s ya novel is about J (born Jennifer), coming to terms with the fact that his body is not going to change into the girl he knows he is. And then what to do after that. A painful, heartbreaking book about gender identity; it was the first book with a transgender character on California’s recommended reading list for public high schools. As a teenage girl, what do you do when you suddenly realize you like other girls? Dylan is nice girl with a great boyfriend and a best friend she loves more than anyone else. She has to work through that question as she realizes that for some reason, she hates her best friend’s boyfriend, and isn’t interested in anything remotely sexual with her own football jock guy. Dylan has this nagging feeling that something has to come out, but is afraid of the consequences, and of being who she really is. Lo wrote about the X-Files for her graduate thesis. Perfect credentials for the ya science fiction duology-plus-a-novella, Adaptation, which starts off with planes crashing into flocks of birds, and then nothing is ever the same again. Lo’s books are lush fairytale, post-apocalyptic creepers wrapped in first-time-falling gay love stories. 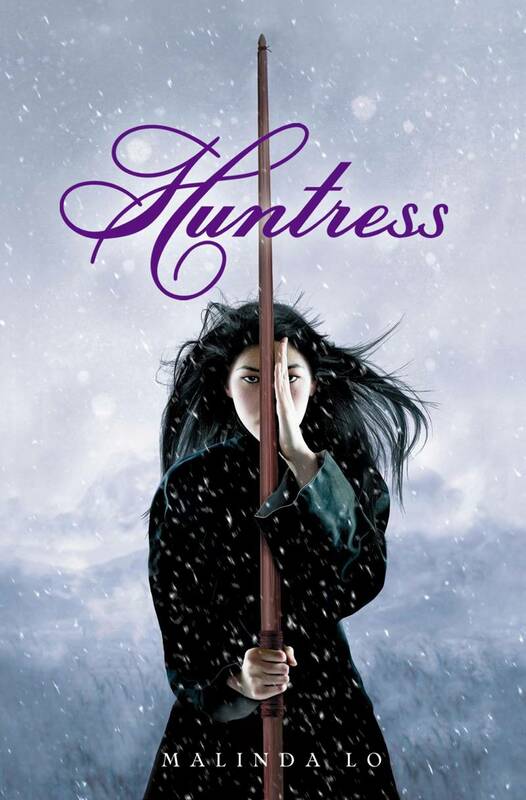 The Huntress (slightly reminiscent of The Hunger Games) sees two teenage girls questing to find the Fairy Queen in order to save the world – and naturally, they fall in love along the way. Lo, the Lambda YA award winner, is also co-founder of Diversity in YA, a project that celebrates diversity in young adult books. Please share your own favorites, and tell us why you love them!